So I’m back. I cannot express how much I missed typing in front of my computer writing for you guys. A lot to catch up! I would reach out to you guys out there soon for drinks and little talks. If you have the same idea, don't let the grass grow under your feet! I just want to say that I am so happy to be back. Whoop! 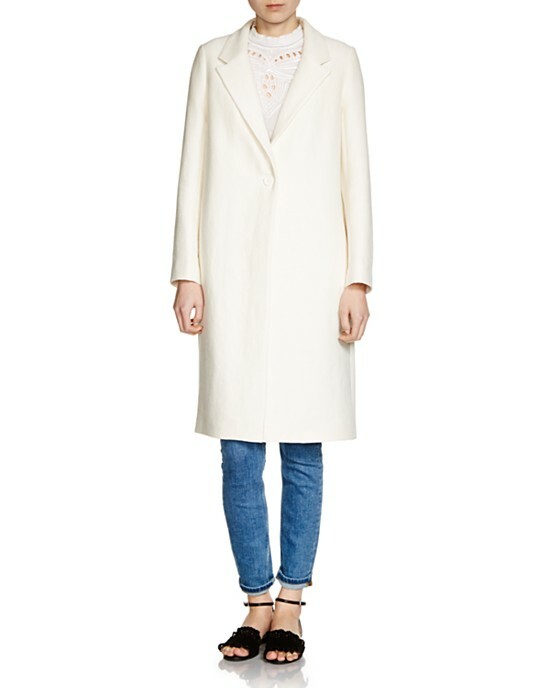 Cut to the chase - I am introducing the white notched collar coat, a warm alternative to any spring light jackets that would not protect you from the cold spring in New York. I styled my alpaca hair and wool coat with a white turtleneck, a pair of beige leather pants, and white block peep toe heels. For you early spring adopters, the white coat look can get you the feel of warm weather without compromising your need to survive the procrastinating New York winter. Now get on streets with your warm white coat and feel great amongst dark heavy walking down garments!